Take Advantage of Special Financing. 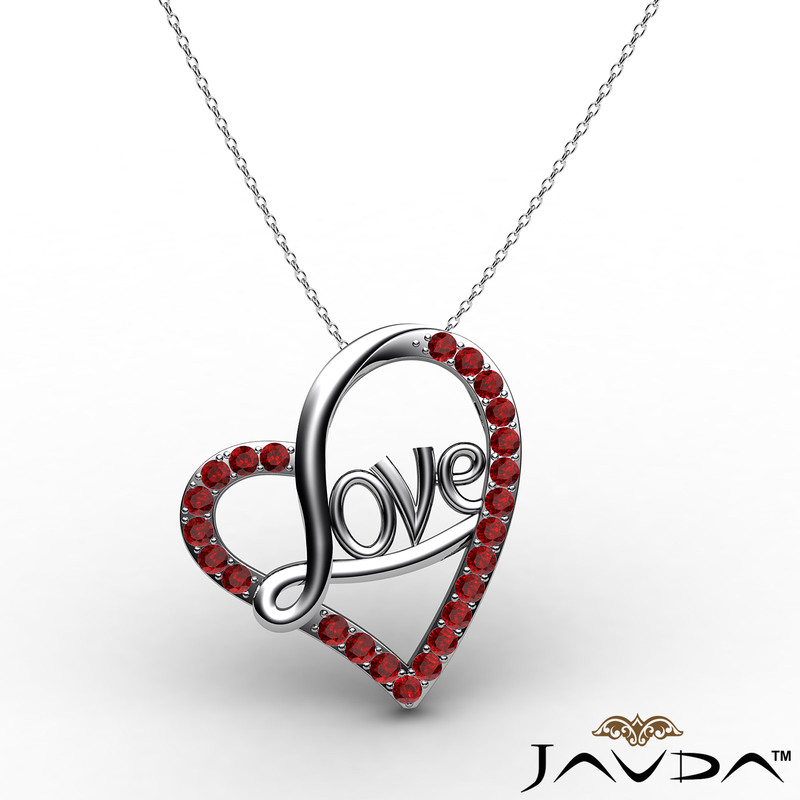 A charm Love script heart pendant necklace accented with tiny round shape diamonds on heart crafted in 14k white gold. Sparkling 0.45 carat round ruby gemstone are elegantly set in micro pave setting, available in 14k, 18k white, yellow, rose gold and platinum 950. 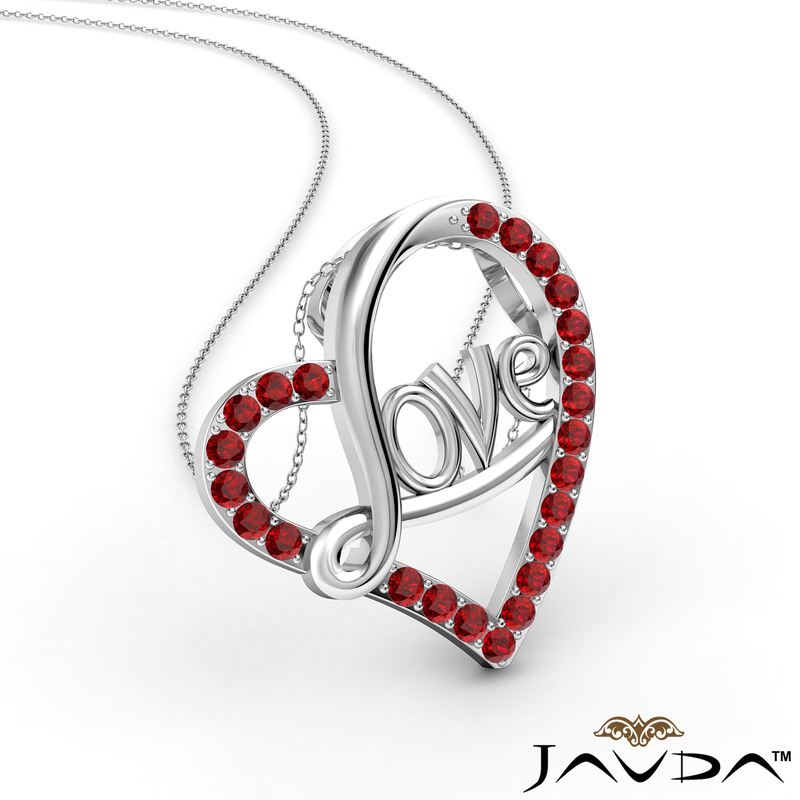 This romantic love heart pendant is perfect to gift your loved one on valentine's day or any special ocassion. Required : valid info.Product successfully added to your cart. 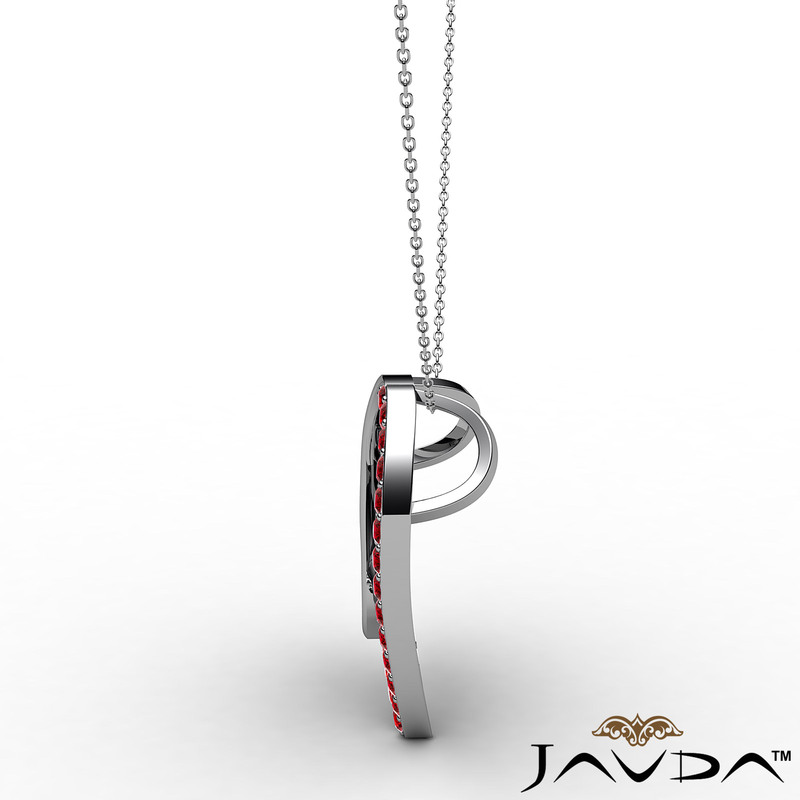 Pendant Comes with 14k Gold Rolo Chain , 1.5gm aprox. 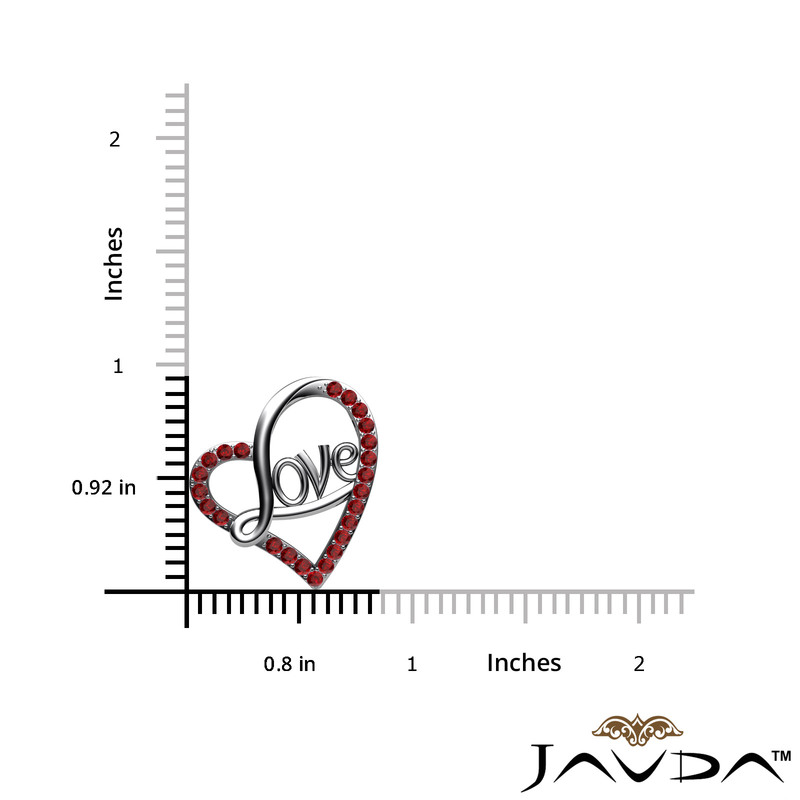 Copyright © 2005 - 2018 Javda Inc. All Rights Reserved.